Don’t miss ITS Friday event on Oct. 7! Mark your calendars: Ed Outhouse, assistant professor of design, will present the next ITS Friday program at 3 p.m. Friday, Oct. 7, in the Criminal Justice auditorium. 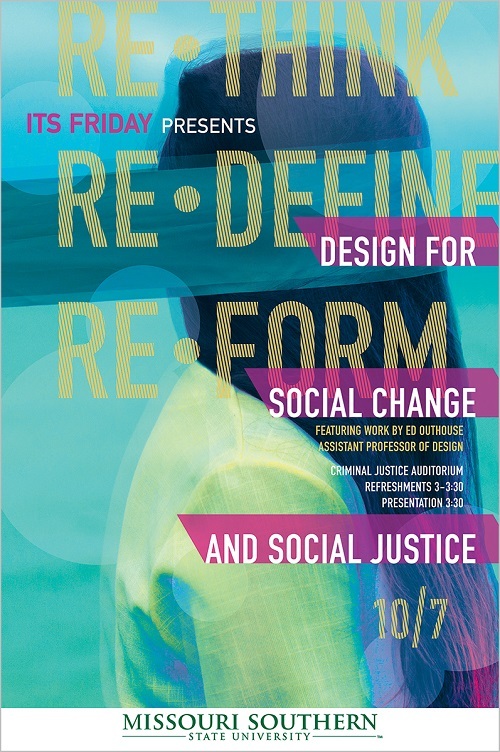 The theme of his presentation will be “Design for Social Change and Social Justice.” Refreshments will be offered at 3 p.m. The Ideas That Stick presentation encourages the campus to come together for a free exchange of ideas. All members of the faculty and staff are invited. No RSVP is necessary.